President Donald Trump unexpectedly fired FBI Director James Comey on Tuesday. Not even Comey saw it coming. He reportedly found out, as many other people had, via headlines on TV news channels. 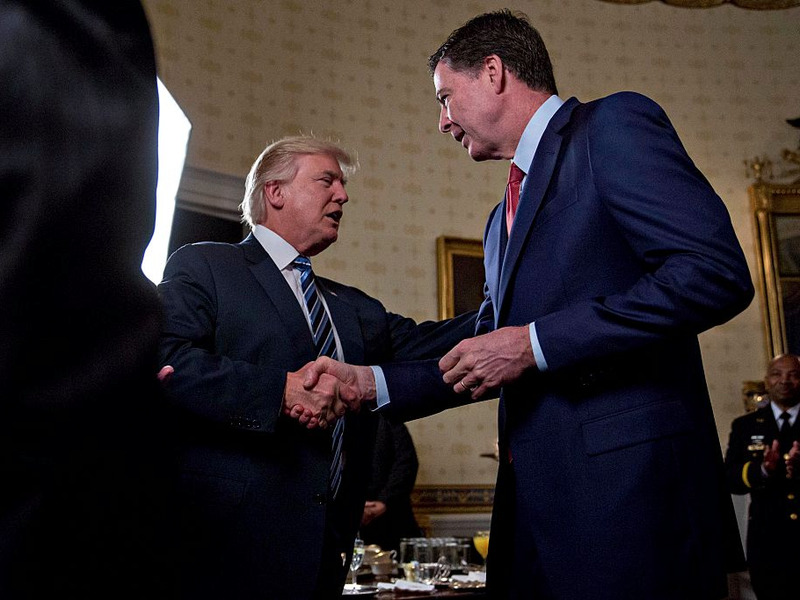 Trump said he acted on recommendations from the attorney general and deputy attorney general, who raised concerns about Comey’s handling of last summer’s investigation into Hillary Clinton’s emails. Some Democratic lawmakers have described Trump’s move as Nixonian, highlighting its political significance as Comey had been leading an FBI investigation into whether the Trump campaign colluded with Russia to influence last year’s election.